When I first researched about Memebox, I read a lot about the Global boxes and how amazing they were. So when I started to purchase Memeboxes, I knew I had to try it out. Memebox is a Korean beauty box company that sells none subscription beauty boxes, here's Memebox in depth. I purchased the Global box #17-#19 bundle. The boxes ships on the 24th of each month. This is the Global #17 box, #18 is being shipped on December 24th and #19 on January 24th. I have to say I'm a bit disappointed by this Global box. While it's not as bad as the box I regret buying, it's still not that good of a box for me. Let's go see why. This skin firming and nourishing cream contains high concentrates of collagen which will enhance skin elasticity and resilience. It's formula contains not only collagen but also hyaluronic acid and argan oil to help rejuvenate and treat fine lines and wrinkles. Not too long ago, I had a bad experience with a Shara Shara product and after that I've just been avoiding all Shara Shara products. It didn't help that this box came with 2 Shara Shara products. It's a personal preference that I don't like their products, but I've heard some people really liking them. The cream sounds promising with its collagen ingredients and hyaluronic acid. I haven't opened it as I won't be using it. So I can't tell you any more than from looking at the ingredients list and first impressions. A lip palette that includes 3 different types of lip products. 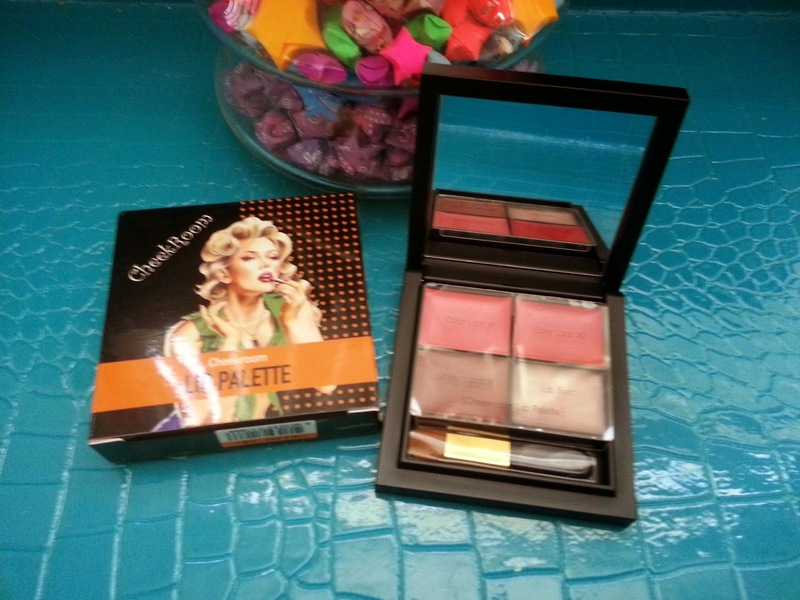 A shiny lipstick in a palette, a lip balm, and 2 lip colors. The 2 lip colors sparkle with radiance, the shiny lipstick contains fine pearls and has a silky elegance, and the lip balm melts onto lips smoothly with its long lasting moisture boost. It also comes with a brush. It's been ages since I've used a lip palette. Maybe during my Middle School days? I'm not a big fan of lip palettes but I have nothing against them. Not sure if I will use this at all since I have so much lip products currently. If I don't use it, I'll most likely gift it out or something. 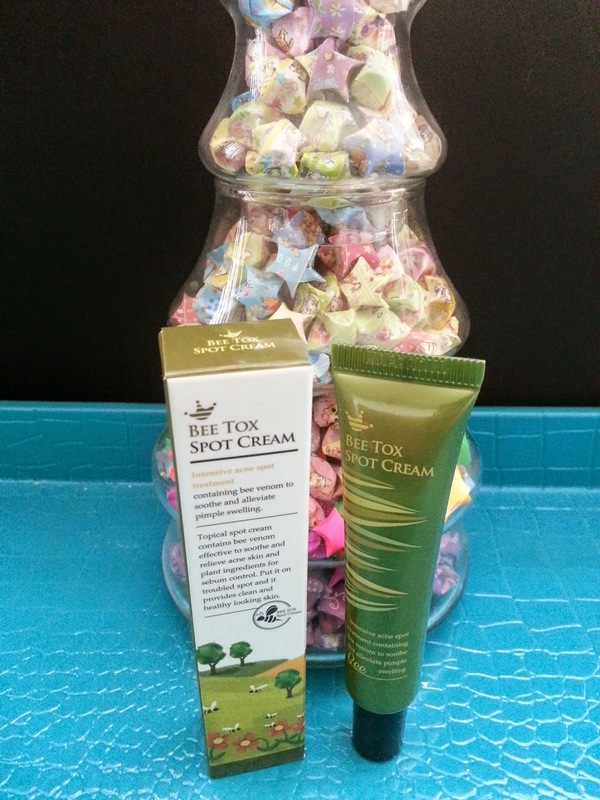 A spot cream for acne prone skin, formulated with bee venom extracts to help control excess sebum. It contains 6 kinds of herbal extracts to help clear trouble spots and blemishes to achieve a clear and well balanced skin. The other Shara Shara product I'm avoiding in this box out of personal preference. This cleanser is enriched with soda water and naturally derived components. Its got a sticky texture and it woks as a mucin like gel that melts onto skin and cleanse away impurities and makeup residues. Use this cleanser as part of your double cleanse routine for better results. Such an unfortunate name for a product lol. 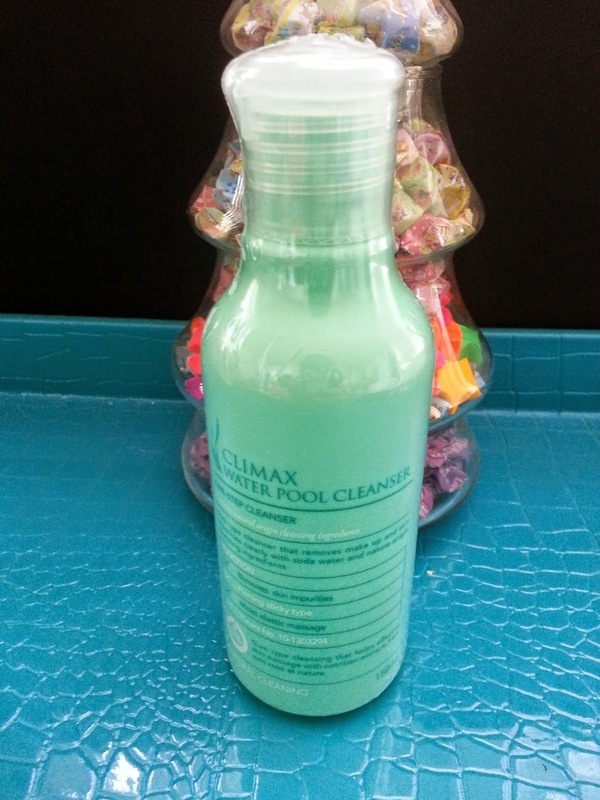 Water Pool Cleanser, it sounds more like something to clean the pool with than to cleanse the face. This is another product that won't be use and will be traded. Not because of its name but because I have a lot of other cleansers to go through right now and the list is just too long to add anymore. 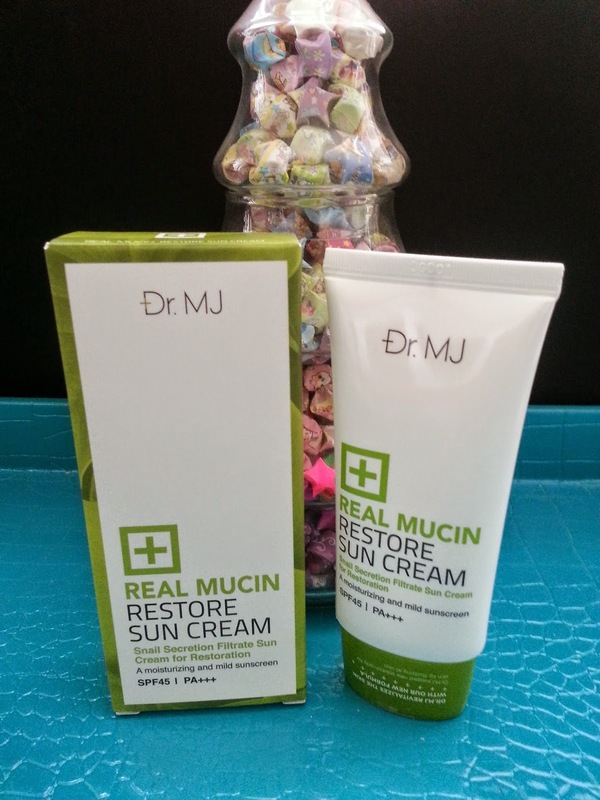 A mild sun cream that works to hydrate, protect, and balance the skin tone. Coating it smoothly with a thin layer of nourishing snail secretion formula. Normally, I'm not one to be fond of sun creams in my Memebox, however, this one I think I will like. It's mucin properties is more than enough to win me over, plus it's good until 2017, which means I have plenty of time to use it. 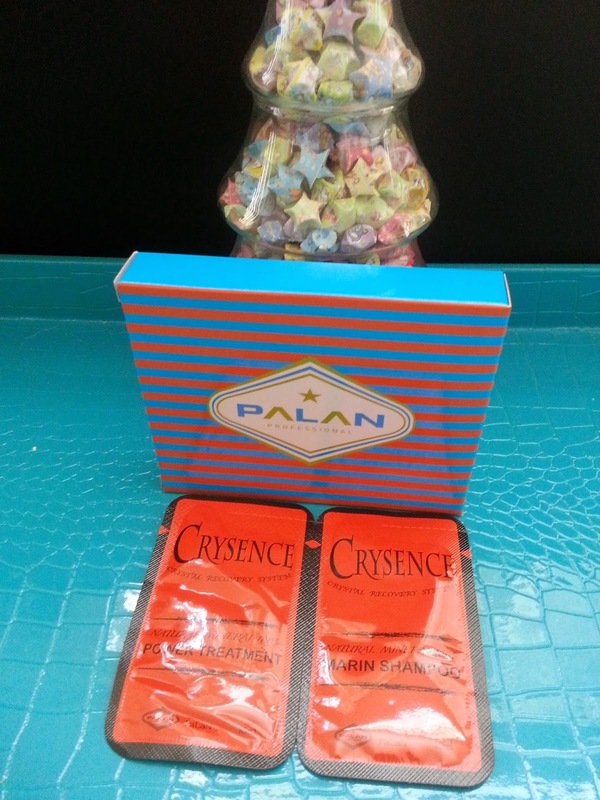 Deluxe samples of Palan's famous protein shampoo and treatment. This kit will nourish damaged hair and clarify/rejuvenate sensitive scalp. Formulated with 100% natural minerals, hydrolyzed protein, jojoba oil, keratin, tea tree, salicornia herbacea, meadowfoam seed oil, and citric acid. To use, apply shampoo and masage scalp throughly, rinse off with lukewarm water. Towel dry the hair until it's no longer dripping water but still somewhat wet, apply the treatment to hair. leave on for 10-15 minutes that wash off. I wasn't expecting deluxe hair samples in my box, however, I've heard great things about Palan hair products so I'm excited to try. If they turn out to be as good as my Mise en scene products, then boy oh boy will I want more! This box came with 6 products. Although the monetary value of this box isn't bad, the usability just isn't there for me. Out of the 6 products only 1 interests me and at most I'll only use 2 or 3 of them. So this isn't the box for me. However, I'm hoping that Global #18 and Global #19 will be good boxes. After all, these are mystery boxes catered to everyone who has different tastes. Hoping for some awesome boxes in the future, come on Memebox, show me what you got! You can check out current boxes here on Memebox, plus sign up now and get 20% off your first purchase. 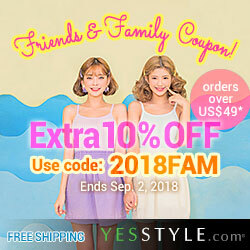 Visit the Deals Page for coupon codes and deals! Special December Code N86F2F for $5 off orders over $30. Disclosure: The products were purchased by me and all the opinions are honest and my own.